Last week, Unseen Japan wrote about just a couple of the scandals that have racked the administration of Prime Minister Abe Shinzou. But it didn't take long for yer another scandal to hit the headlines. The Ministry of Health, Labor and Welfare published statistics on disabled employment in a report on August 28th which inflated the number of disabled people employed in government agencies. Over 80% of central government ministries and agencies had approximately doubled the actual figure of 3,460 disabled people. There have been suggestions of purposeful misrepresentation and there has been a huge outcry from many Japanese people. The hash tag #障害者雇用水増し (higaisha koyou mizumashi; inflation of disabled hiring) has been trending since the news broke, with many blaming Prime Minister Abe, and even raising questions about the upcoming Paralympics in 2020. The incident has led to a serious loss of faith in the accountability of government. Subaru, which admitted to falsifying fuel efficiency data. It does seem that large Japanese corporations and government authorities need to be regulated more tightly. Perhaps the hierarchical nature of Japanese corporations and governments often prevents whistleblowing and identification of potentially fraudulent misrepresentations of this nature. Japan raised the legal employment quota for disabled people from 2% to 2.2% in April which applies to companies with 45 or more workers and will further increase to 2.3% within the next three years. The employment rate for disabled workers in Japan is 48.6% compared with 59% for the overall workforce, according to government statistics. The government also added a new obligation for companies to employ people with mental disabilities. This is still very much a taboo subject despite Japan having a disproportionately large population of people with mental health disorders such as hikikomori (引きこもり), a form of agoraphobic depression. This incident highlights that whilst Japan is making advances in reducing the stigma attached to disability and more generally being different from the majority, central government is failing to adequately provide opportunities for the disabled. The public expect government agencies to at least be more aware of the marginalization of disabled people and so the fabrication of statistics is particularly disappointing and shows a disregard for the need to change perceptions around disabilities and improve opportunities and the employment rate. 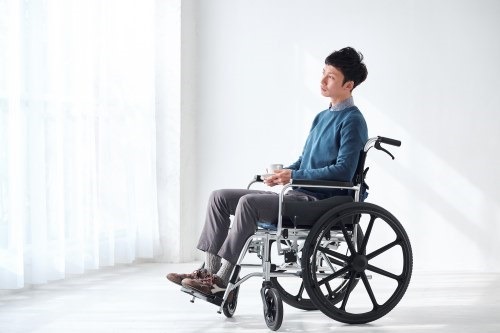 Link (JP): Question of Intentional Inflation of Employment of People with Disabilities: "We Will Yield to a Third Party Examination"
An investigation by Tokyo Medical University into its admission practices led to a startling discovery that has Japanese women up in arms. Author Sakai Junko made waves 15 years ago with her bombshell book, The Cry of the Loser-Dogs, in which she extolled the virtues of not marrying. In an interview with Asahi Shinbun, the author comments on how Japanese culture has - and hasn't - changed since then.